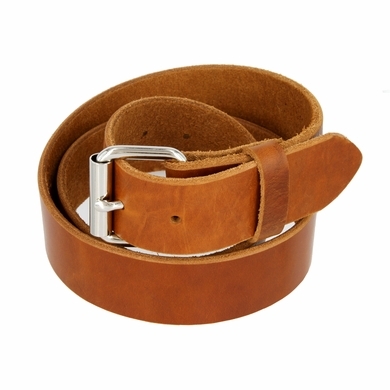 Full grain one piece heavy duty leather belt. 1-1/2" wide (38mm). Heavy polished silver plated iron roller buckle. Hand cut hand from 9-11 oz. leather hide. Belt strap made in the USA. Belt thickness: about 1/8"